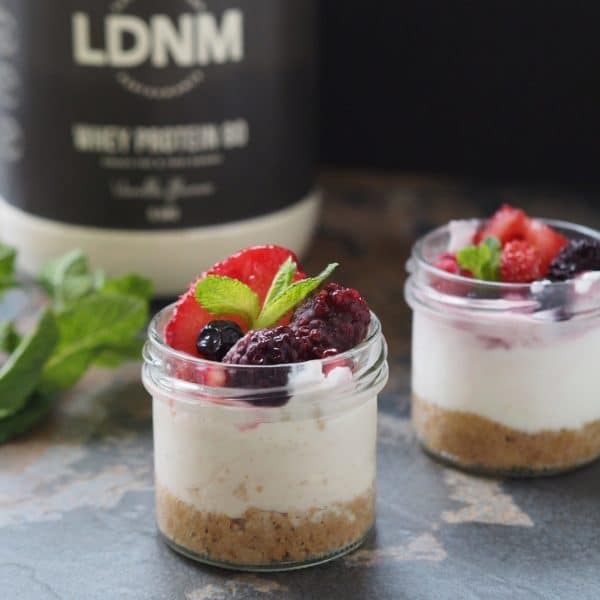 Try our super simple High Protein Cheesecake Recipe today! Crush the digestive biscuit to crumbs and mix with butter. Transfer to a small jar and press firmly into the base to create an even layer. Mix thoroughly cream cheese, whey powder, milk, lemon juice and honey together thoroughly in a bowl and spoon the mixture onto biscuit base. Leave to set in the fridge for one hour.